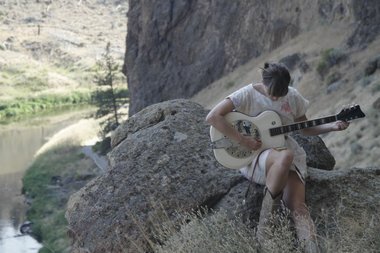 Oregon-raised orator (well...through song) Laura Gibson has contributed a beautifully sparse version of gospel gem 'Down by the Riverside' as part of an ongoing online project to benefit the Deschutes River Conservancy. Recorded on the banks of the tributary itself, the session is the third in a series that has also featured Eric Earley of Blitzen Trapper and sometime Shins-contributor Eric D. Johnson. Keeping with the river-related theme, all three cover classics with a water-based essence flowing right on through. *I figured I might as well include the other two sessions while I was at it.